Ken Salvesen was born on July 2, 1922, on Staten Island, New York. 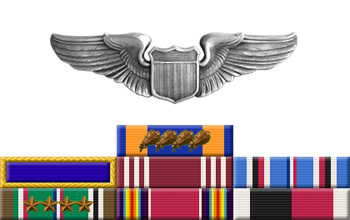 He enlisted in the Aviation Cadet Program of the U.S. Army Air Forces on December 8, 1942, and was commissioned a 2d Lt and awarded his pilot wings at Spence Field, Georgia, on March 12, 1944. 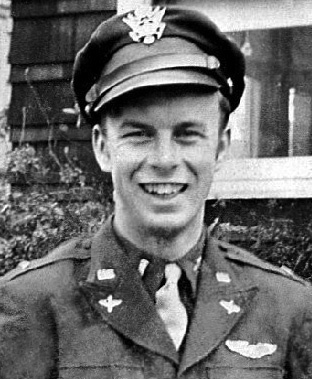 After completing P-51 Mustang training, Lt Salvesen was assigned to the 486th Fighter Squadron of the 352nd Fighter Group in England from August 1944 to November 1945. He received an honorable discharge from the U.S. Army Air Forces on December 21, 1945. After the war, Ken graduated from Wagner College and taught high school history before joining Mobil Oil Corporation in Manhattan, retiring in 1986. Ken married the former Irene Carol Beckvar in 1948, and they had six children together; Nancy Jean (born in 1950), Stephen Kenneth (born in 1952), Judy Irene (born in 1954), Karen Elouise (born in 1956), David Anton (born in 1957), and Linda Marie (born in 1962). Irene died of cancer in 1968, and Ken died on December 31, 1988. They are buried together at the Hillside Cemetery in Metuchen, New Jersey.